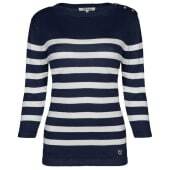 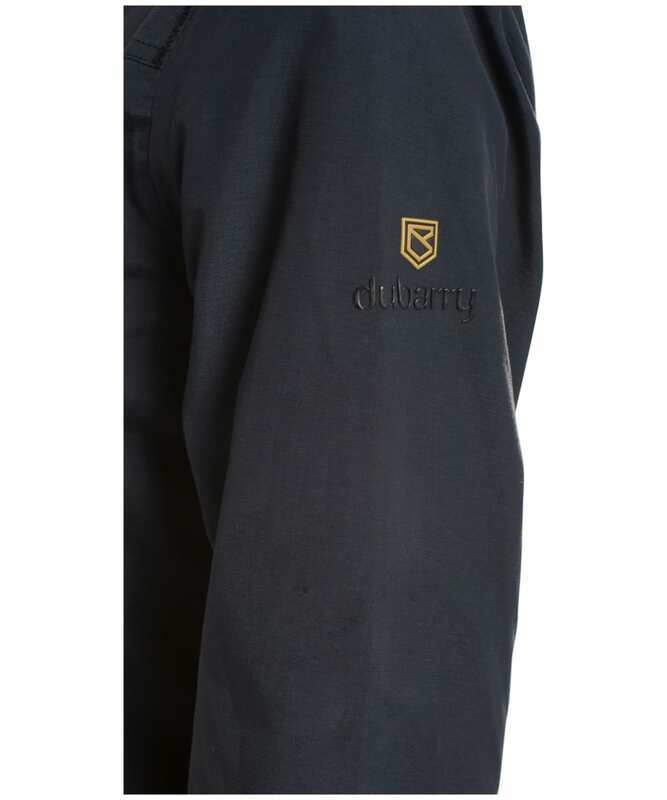 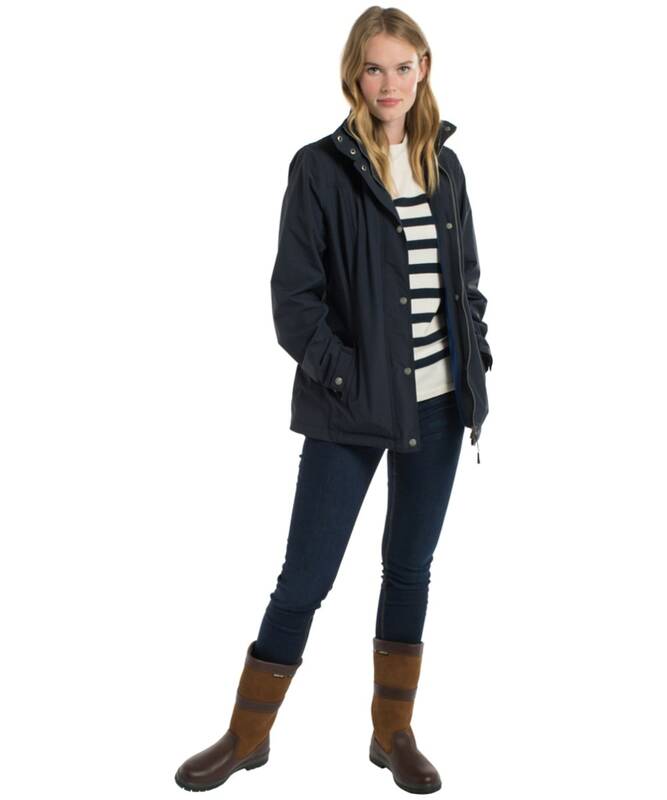 The Dubarry Aran Waterproof is a stylish yet high performance waterproof and breathable jacket which is ideal for the wet weather. 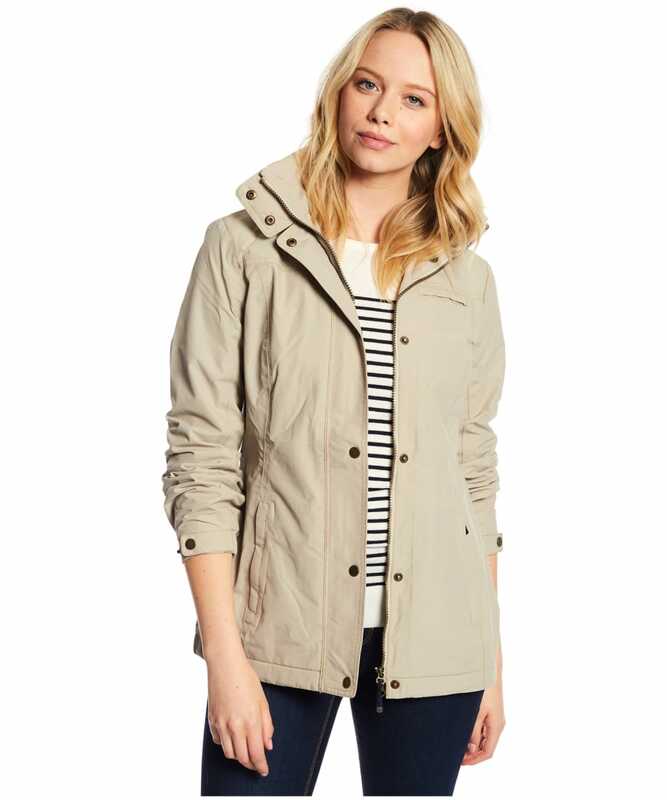 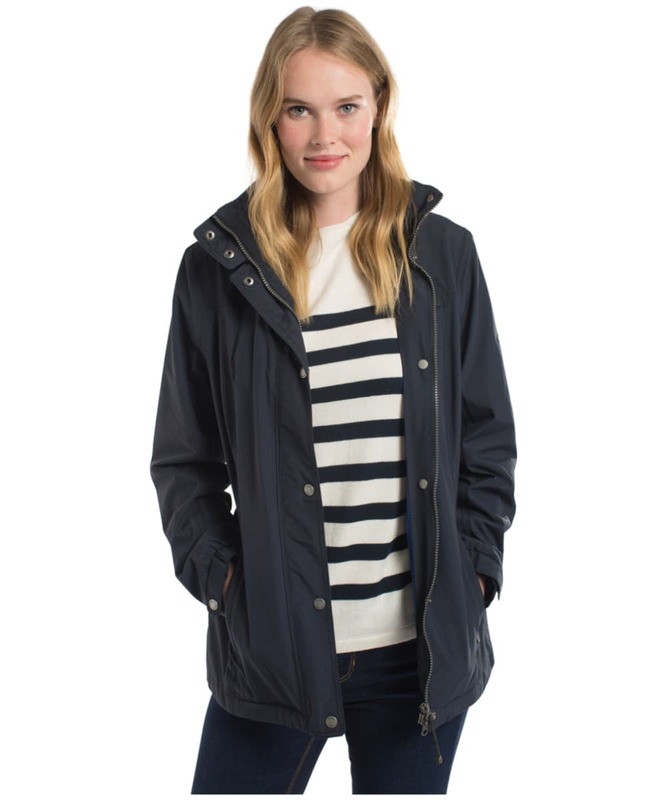 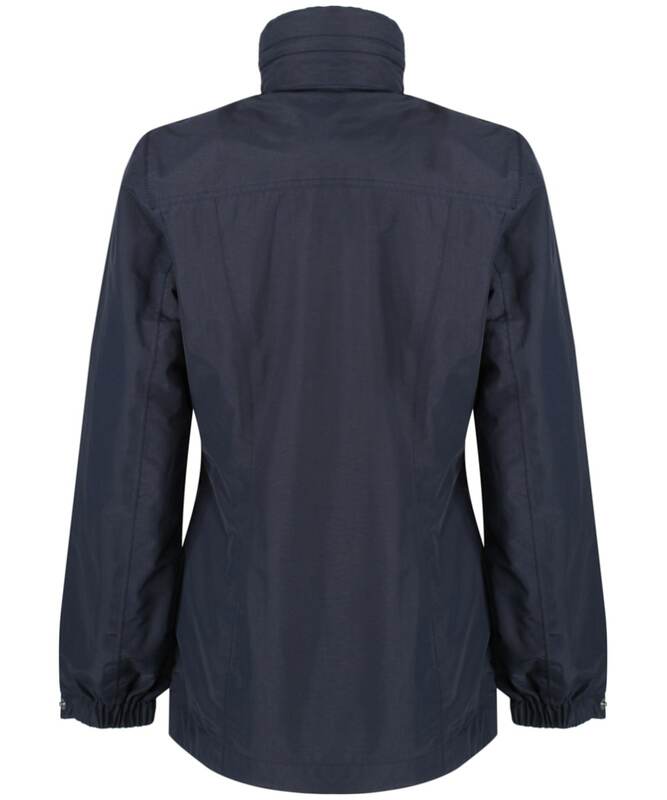 Featuring a durable water resistance and taped seams for expert protection from wind and rain, this jacket is also fitted with a warm, hand brush mesh lining to ensure breathability on humid days. 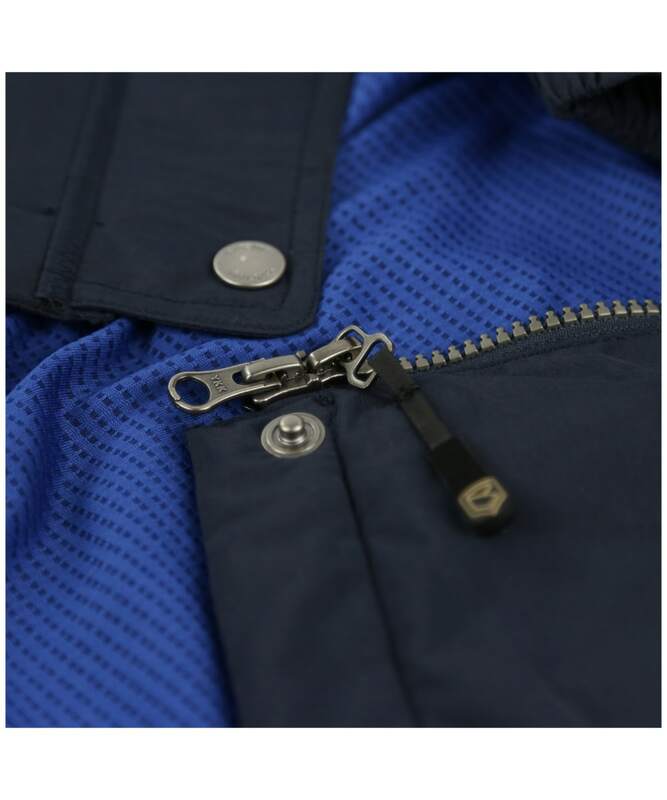 A rollaway hood is tucked neatly into the stand collar, which leads down to a front zip and studded placket. 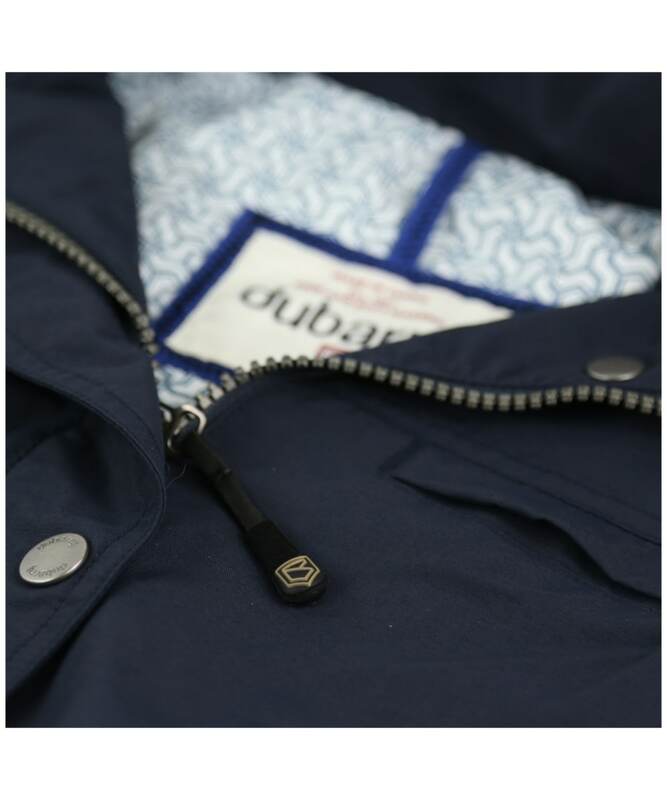 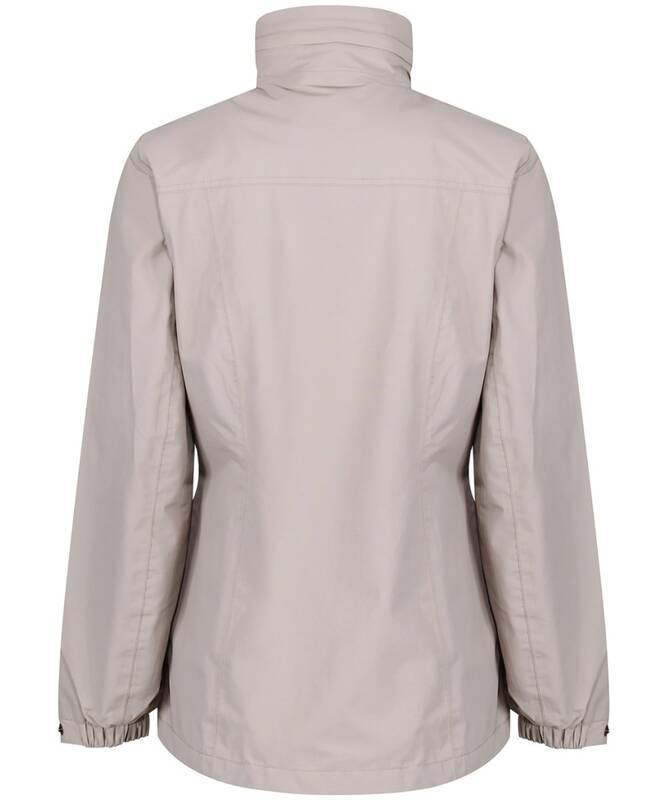 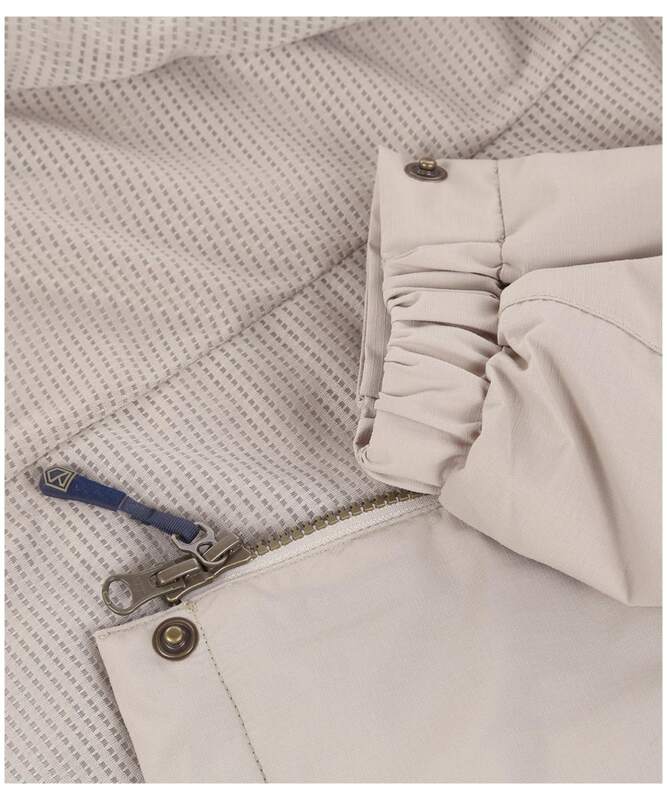 The Aran Waterproof jacket features vertical welt pockets for storing your essentials, and adjustable sleeve cuff tabs which can be fitted to suit your style and keep rain and spray out. 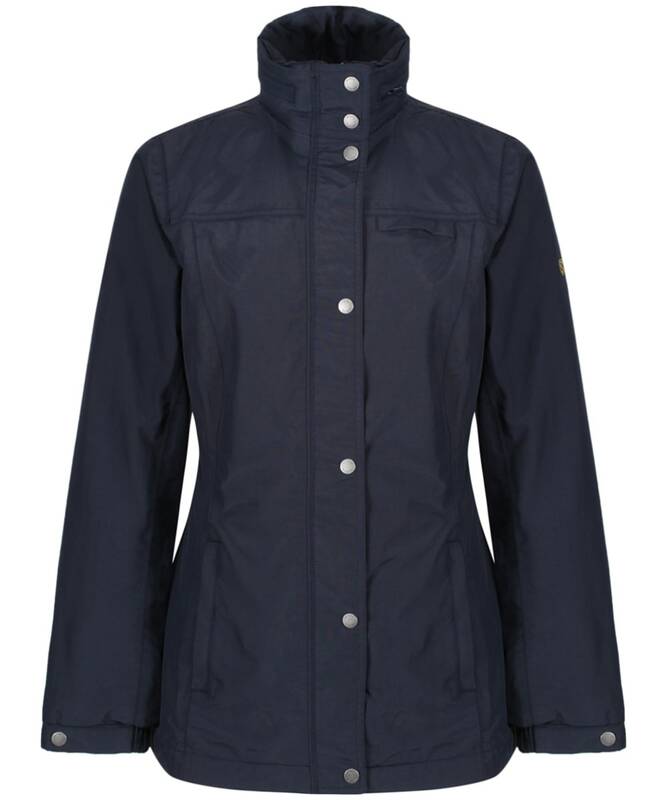 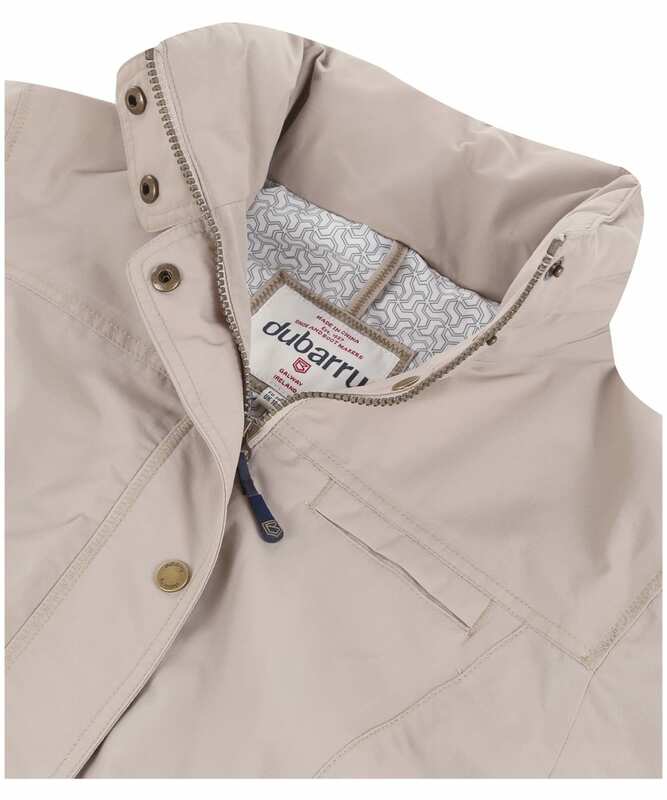 This stylish yet practical Dubarry jacket features a feminine silhouette, and is finished with the distinctive Dubarry branding. 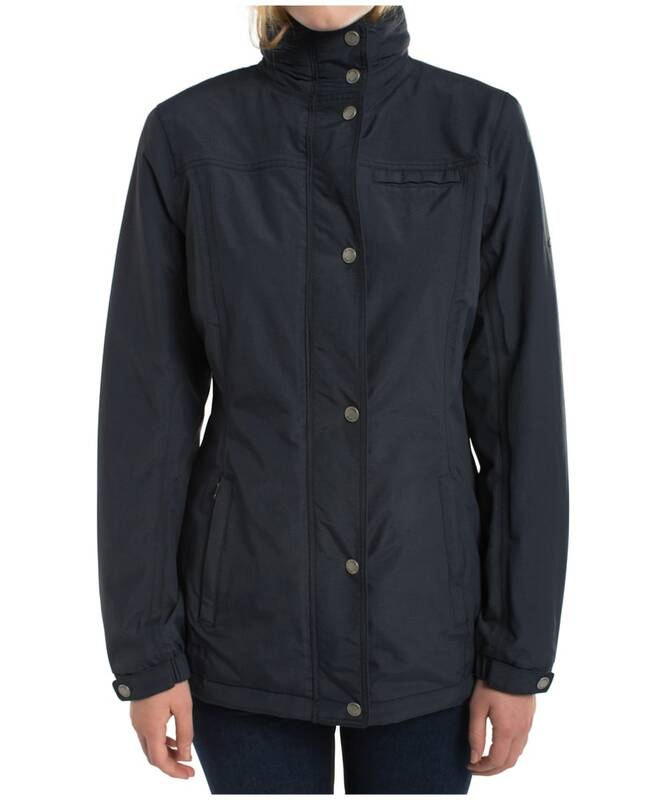 Rated 4 out of 5 by Emphot from Smart jacket Nice jacket, will be more use in spring, not as warm as I thought it might be, but very smart. 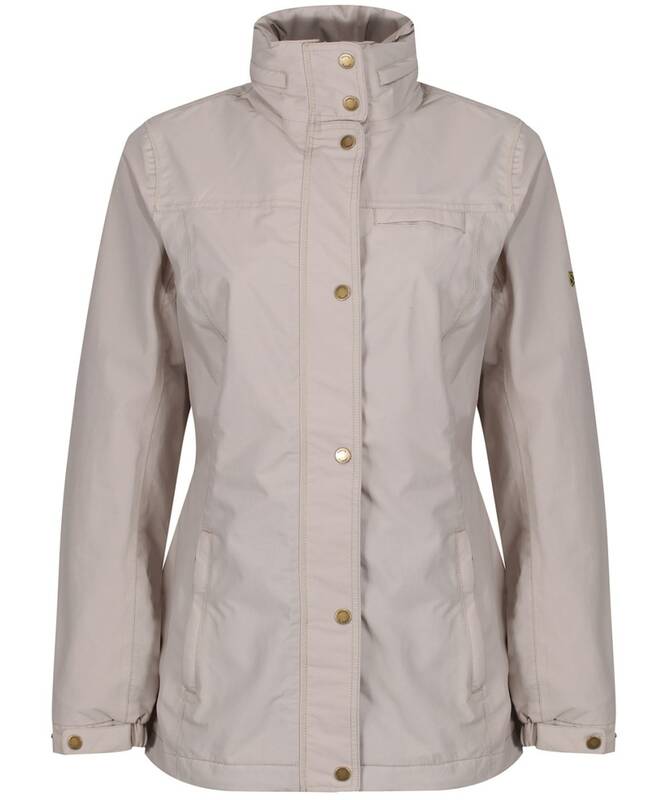 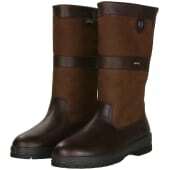 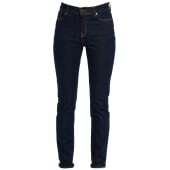 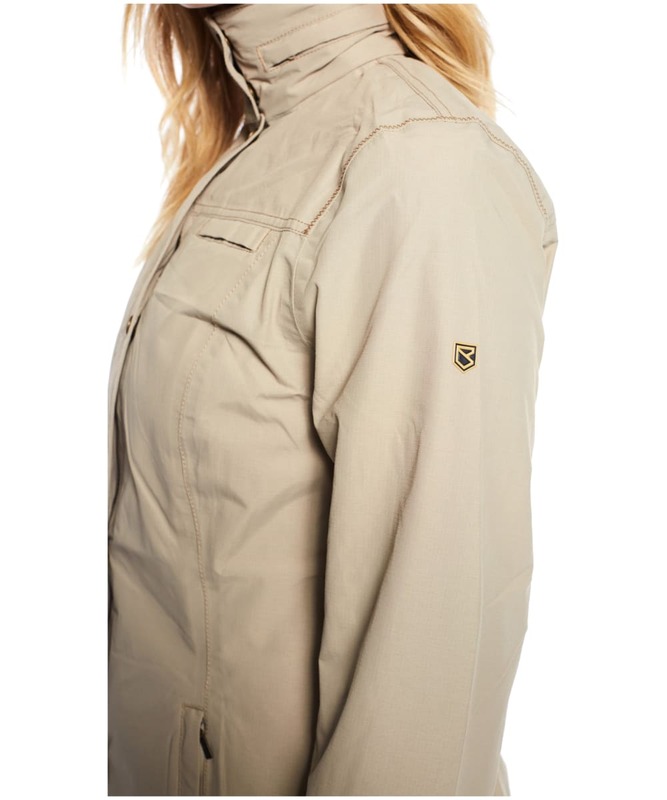 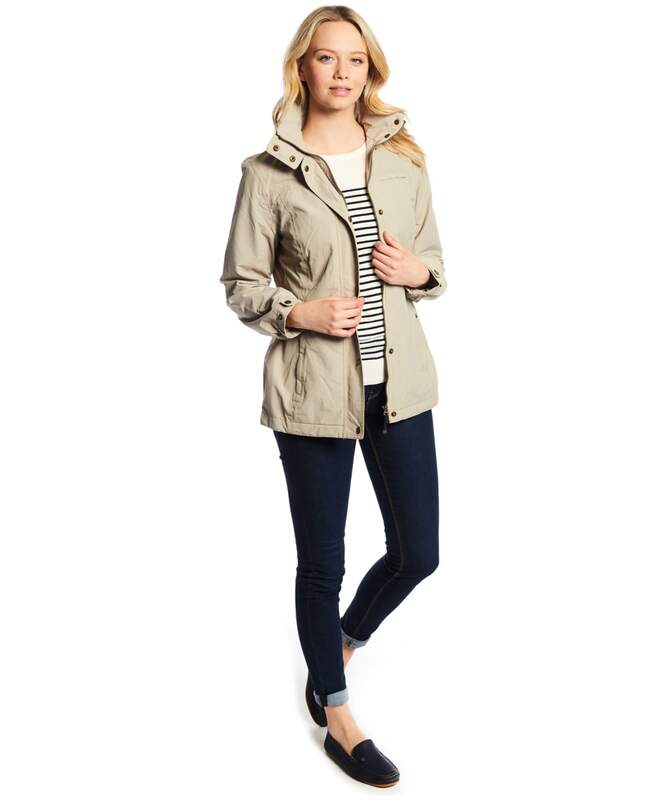 Women’s Dubarry Aran Waterproof Jacket - Tan is rated 4.0 out of 5 by 1.